Offering you a complete choice of products which include eprex 4000 injection, empov capsule, epithra injection, geftib tablets, taxuba injection and erleva tablet. 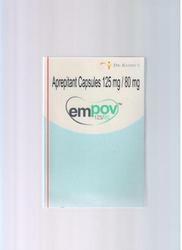 Being a highly effective, lean and fast-moving organization, we are highly instrumental in providing Empov Capsule. Offered capsules are tested on several quality parameters in order to supply quality range at the customer’s end. 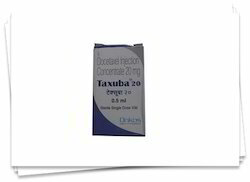 These capsules are provided in best packaging options. We are offering these capsules to customers in bulk counts as per their needs. 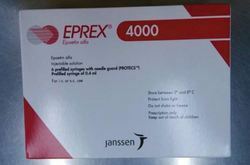 Owing to a long-term destination for our business, we are engaged in offering a wide gamut of Epithra Injection that is an anti-cancer drug & injection. This is used to treat two types of lung cancers, our offered product is processed by vendor’s pharmaceuticals experts by using the finest ingredients in accordance with the quality standards. Moreover, the offered product is stringently tested on various parameters for supplying a quality range. 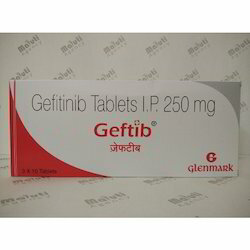 With firm commitment to quality, we are presenting for our clients a quality proven Geftib Tablets which is used to treat lung cancer, the offered geftib tablets are tested on numerous quality parameters by vendor’s quality controllers for dispatching a flawless range. These geftib medicines are well processed by using the top grade ingredients and sophisticated technology, in compliance with the medical standards. pping its growth and spread. 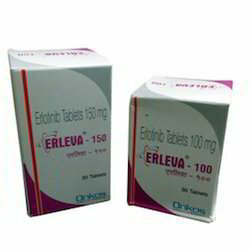 Our organization has successfully expanded its business in market owing to the offered elevated quality array of Erleva Tablets. These tablets are used under proper medical guidance. Offered product is precisely processed by quality ingredients keeping in mind the set medical standards. Our honored clients can avail this product from us at reasonable price within a promised time frame. Looking for Glenmark Medicine ?